Migraine Help. What if it Never Goes Away? Approximately 7.7 million American adults age 18 and older have post-traumatic stress disorder or post-traumatic stress, according to the National Institutes of Health. Post-Traumatic Stress Disorder (PTSD) is an anxiety disorder that some people get after seeing or living through a dangerous event. A “fight-or-flight” response is a healthy reaction meant to protect a person from harm. But in PTSD, this reaction is changed or damaged. People who have PTSD may feel stressed or frightened even when they’re no longer in danger. ANYONE can get PTSD at ANY AGE. How do I know if I have PTSD? SYMMETRY Neuro-Pathway Training does not diagnosis PTSD or any other mental health concerns. We provide articles on a number of mental health topics to help provide helpful information and research to a number of topics. A doctor who has experience helping people with mental illnesses, such as a psychiatrist or psychologist, can diagnose PTSD. If you are experiencing and of the following symptoms, you should discuss with a mental health professional on the best course of treatment for you. triggered by a number of reasons that may not make sense to you but will link the experience to the person. Ex. Smells can trigger certain memories. Re-experiencing symptoms may cause problems in a person’s everyday routine. They can stem from the person’s own thoughts and feelings and even words, objects, or situations that are reminders of the event can also trigger re-experiencing. Cognition and mood symptoms can begin shortly after the even and worsen after a period of time. These symptoms can make the person feel alienated or detached from friends or family members. Memory concerns can build for some people by forgetting important details in their daily activities, creating false memories or having trouble remembering key features of the event or distorted feelings that can turn into chronic symptoms of depression. Many individuals will try PTSD with Psychotherapy as an option. Both of these medications are antidepressants, which are also used to treat depression. Doctors may also prescribe other types of medications, such as the ones listed below. There is little information on how well these work for people with PTSD. These medications may be given to help people relax and sleep. People who take benzodiazepines may have memory problems or become dependent on the medication. Research over the past 40 years has demonstrated that inappropriate brainwave activity is at the core of most neurological disorders. 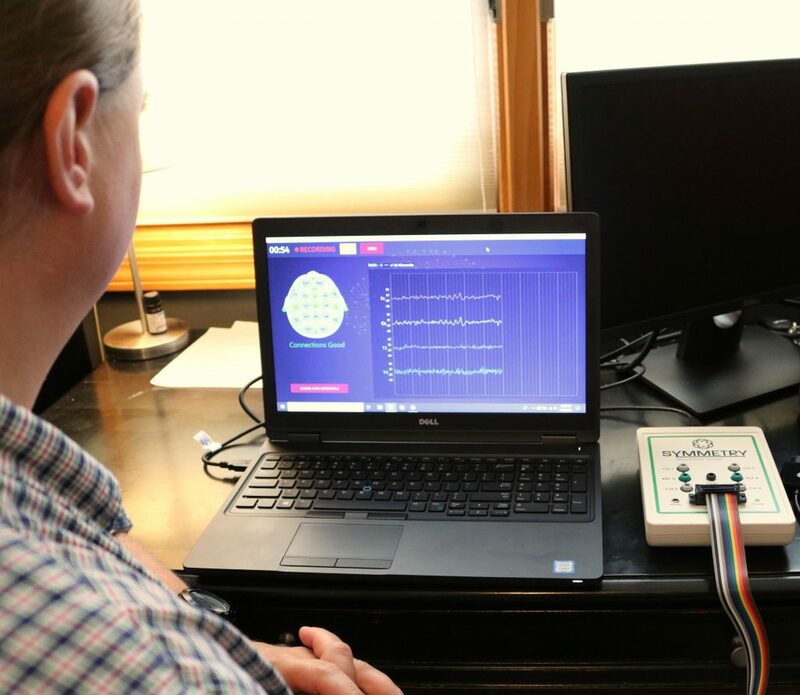 Neurofeedback is a sophisticated form of biofeedback that actually trains the brain to normalize the brainwaves and make them flexible and adaptable to situational needs. Results are effective and long-lasting. 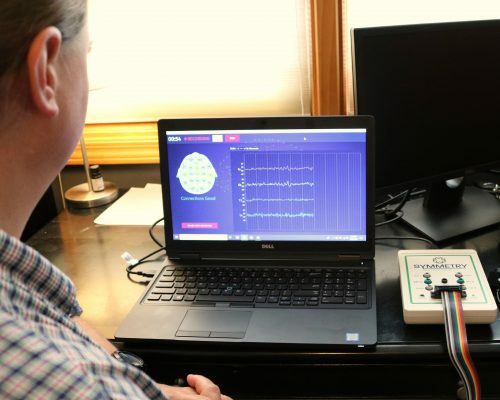 Neurofeedback is based upon the principle that there is a normal pattern of brain wave activity and that the brain regulates itself based upon this pattern. 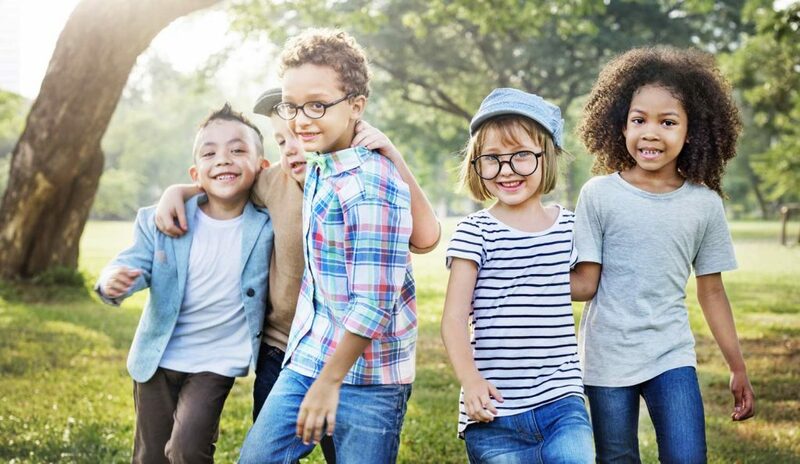 Research demonstrates that this normal pattern of brainwave activity may become disrupted, resulting in a dysregulated brain and causing neurological symptoms. In 1991 Peniston published a study in a top journal, Medical Psychotherapy using neurofeedback with Vietnam veterans suffering with PTSD. Thirty months later 12 of the 15 who had done the deep states training were living a normal life while all 14 in the control group had relapse. PTSD can affect children and teens as well as adults. To continue, reading please go to the blog post, PTSD in Children and Teens. How do I know if I or a loved one is at risk? 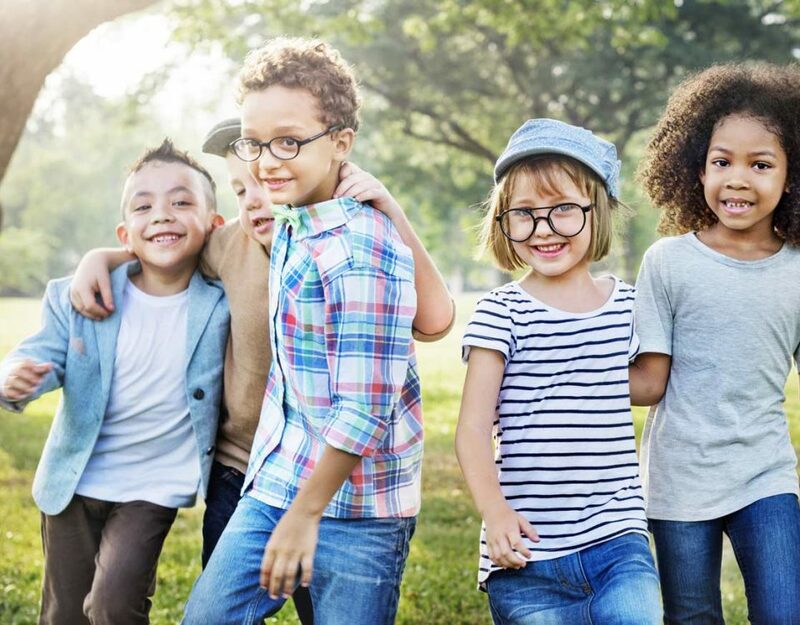 Researchers are studying the importance of these and other risk and resilience factors, including genetics and neurobiology. With more research, someday it may be possible to predict who is likely to develop PTSD and to prevent it. 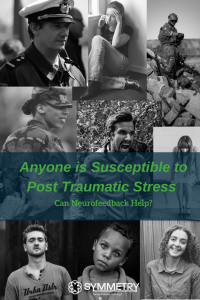 (1) If you are concerned about negative characteristics of Post-Traumatic Stress Disorder that you are experiencing or you know another person struggling that may benefit from an alternative approach, please contact us. We want to talk to you, hear your story and discuss options on how to help. If you are sick and tired of the experiencing the negative symptoms of PTSD, please call us at (844) 272-4666 or contact us in the form below to discuss your options and learn more.